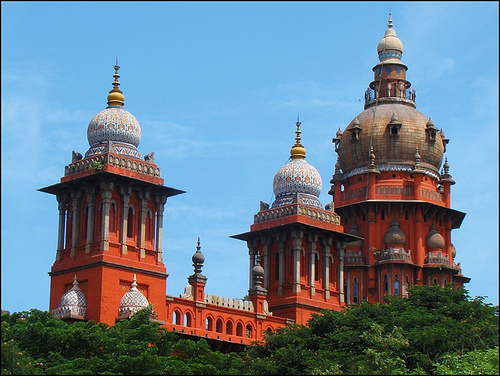 CHENNAI: A bank cannot deny educational loan to students on the ground that the student's academic record is poor, the Madras high court has said. Justice D Hariparanthaman, passing orders on a writ petition of a scheduled caste girl, said: "The bank cannot deny educational loan on the ground that the academic record of the petitioner at the school level was very poor. There is no such provision in the circular of the bank that the loan can be sanctioned only if the academic performance of the student was very good at the school level." Justice Hariparanthaman said: "In fact, I have noted in my earlier order dated September 15, 2010 that Dr B R Ambedkar obtained only 287 marks out of 750 in the matriculation examinations and his educational need was taken care of by King of Baroda on the ground that he belongs to scheduled caste," the judge added. Noting that the Central government had brought the educational loan scheme to help economically weaker sections and not even a third party guarantee was required for disbursement of loans up to 4 lakh, Justice Hariparanthaman asked the Ambur branch of the Punjab National Bank to sanction educational loan to the student within four weeks. The matter relates to a writ petition of Anitha, a nursing student from Vellore district. Though she cleared her Class 12 in 2005, she was not able to continue higher education due to family problems and poor health condition of her mother. Later, she joined BSc (nursing) at Noorie College of Nursing in Kolar district in Karnataka. She applied for an education loan for 3.15 lakh. But, the Punjab National Bank rejected her application on the ground that her academic performance at the school was poor. The bank, however, justified the denial of educational loan to Anitha, stating that it had been provided for in the bank's circular. Referring to earlier orders of the court, the judge said the circular could not go beyond such orders. CHENNAI: Coming to the rescue of a dalit boy who was denied educational loan because he had scored less than 45 per cent marks, the Madras high court has said it was unfortunate that banks were inventing reasons to deny loans to students. Justice D Hariparanthaman, directing the State Bank of Travancore to extend educational loan to S Maran, who joined the SKR Engineering College at Poonamallee in 2008, said that had such an attitude been adopted earlier, even the architect of the Constitution, Dr B R Ambedkar, could not have pursued his higher education. Maran, a first-generation engineering student, joined the college in 2008 and paid his first year tuition fee with great difficulty, as he was not aware of the educational loan scheme. However, in 2009-10, he applied for a loan but never got any response from the bank. He had to borrow loan from private people. He then approached the high court against the denial of loan. The bank, in its counter-affidavit, said that the boy was not eligible for educational loan as he had scored less than 45 per cent marks, which was the cut off for availing the loan. It also quoted a circular, issued on June 1, 2008, on the basis of a Model Educational Loan Scheme of the Indian Banks' Association. Justice Hariparanthaman, noting that the very purpose of the educational loan scheme would be defeated by such an approach, said: "If such an attitude was adopted, even Dr B R Ambedkar could not have gone for higher education. He had obtained only Rs 287 marks out of 750 in the matriculation examination. The king of Baroda was kind enough to extend financial assistance to him." The intention behind the welfare scheme was to provide financial assistance to weaker sections of the society, he said, adding, "It is unfortunate that the bank is denying the facility (to students) citing one reason or the other." If such an argument of the bank is accepted, in Tamil Nadu, except the general category students, no other student would get educational loans, Justice Hariparanthaman said. The government has prescribed just 35 per cent as eligibility criterion for SC/ST students' admission in professional courses, he pointed out. He then directed the bank to sanction the loan within four weeks, and asked the college to reimburse the fee paid by the boy for his second year.